Since Buddhism was first introduced to the kingdom of Koguryo in the year 347 AD, a rather unique form of Martial Arts was developed by both Buddhist monks as well as martial artists, known as Bool Kyo Mu Sool. Buddhist monks originally developed and then practiced Bool Kyo Mu Sool to improve their health while meditating and to defend themselves while traveling. As a result, Buddhist martial arts include both Ki (“internal”) training, with emphasis on special breathing and meditation methods, as well as external training, with emphasis on extremely effective selfdefense techniques. Many Buddhist monks were so accomplished as martial artists that they were occasionally called upon during national emergencies to fight in battles by forming unprecedented armies of warrior monks. 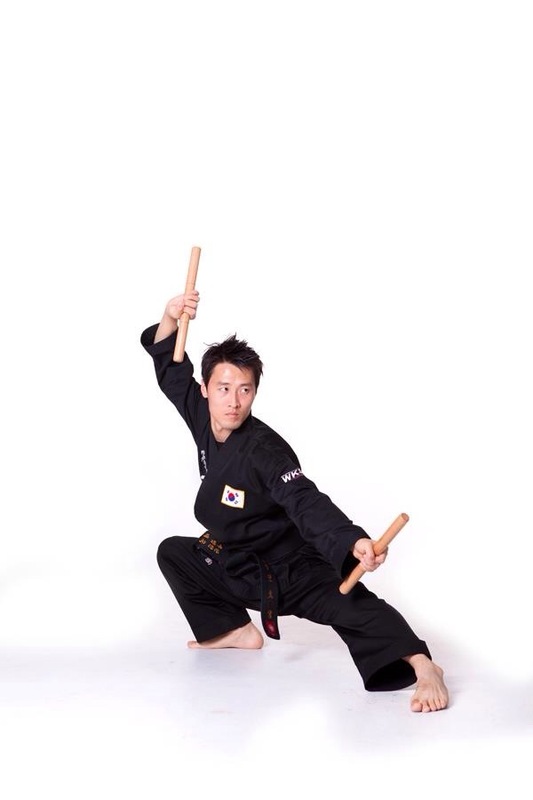 To this day, Bool Kyo Mu Sool plays a significant role for Korean martial artists by providing them with philosophies of non-violence and compassion, as well as ethical codes of conduct, such as the famous ‘Five Precepts’ of the Hwa Rang warriors – Virtue, Trust, Intelligence, Bravery, and Discipline.